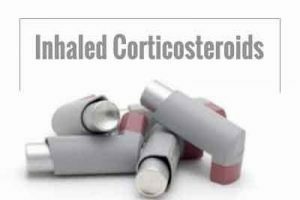 Lately Once-daily inhaled corticosteroids (ICSs) are widely used as first-line therapy in patients with asthma because of efficacy and convenience.Song JU, et al conducted a Meta-analysis of randomised controlled trials to compare the efficacy of ICSs administered once daily in the morning or evening as determined by lung function.They found that inhaled corticosteroids (ICSs) administered once daily in the evening was associated with some benefit in lung function as compared to the morning dose, among patients with asthma.The new meta-analysis has been published in the journal Annals of Allergy, Asthma & Immunology. The researchers searched Medline, Embase, and the Cochrane Central Register for relevant clinical trials. The primary outcome was lung function assessed as trough forced expiratory volume in 1 second and peak expiratory flow at end point.They performed a meta-analysis of 8 randomised controlled trial (n=1,234) identified, investigating the clinical efficacy of ICSs administered once daily in the morning vs evening in patients with asthma. The pooled result showed that ICS administered once daily in the evening resulted in mild improvement in the forced expiratory volume in 1 second (mean difference [MD], 0.05 L; 95% CI 0.01-0.09; P=.026) and produced significant increase in morning peak expiratory flow (PEF) (MD, 13.92 L/minute; 95% CI, 5.77-22.06; P=.001), as compared to once daily morning dose. The change in use of rescue medicine (P=.291) and the incidence of adverse events (P=.382) with once-daily ICS was not significantly different between morning and evening dosing. The researchers concluded that compared with morning dosing, ICSs administered once daily in the evening seemed to provide some benefits in lung function for patients with asthma. However, because of methodologic limitations, further large-scale randomized clinical trials for dosing time of once-daily ICSs are needed.“The clinical benefit of ICS administered once daily in the evening can be considered when advising ICS as a first line therapy in patients with asthma” authors suggested.